What an amazing project! It's going to be spring when you are done. Where do you get all that determination? On a second note this must save you a big penny. However have you checked how cheap the Chinese sell bricks and stones today? I bet you have, so this project is about something else. It must be a great feeling when you get to sit on a rocking chair inside the finished tower. Thomas, I believe congrats are in order! (if I read the results correctly on line). Unfortunately we didn't win, but then we are in Illinois near Chicago. Are those windows replaceable, or are they(the flanges) being stoned in permanently? Looks nice by the way. 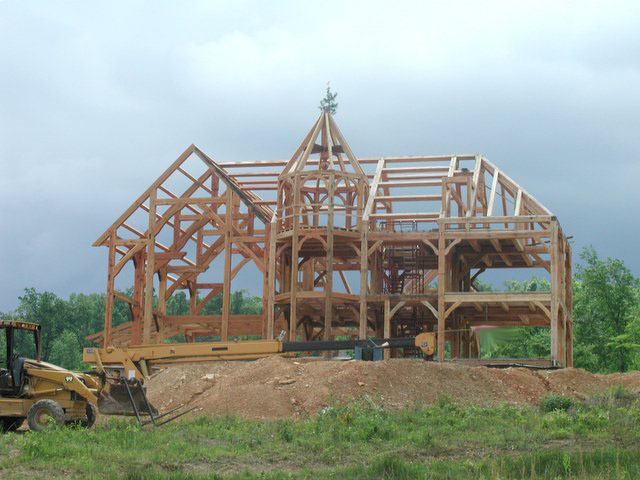 I helped teach a 2 day timberframe workshop the weekend following the election. That was nice. It's interesting how you make use of those stones. Well, it sure does add up some detail on the house. Does it guarantee extra protection, too? So that's how you do it with the window... Amazing! What about the doors? We're doing a house project in San Francisco, but we're still thinking if we're gonna turn it into a stone house. It was interesting to go through your post. Keep up the good work. All the best for your hard work. Very artistic, beautiful, and the structure is really makes them stand out. Thank you for sharing.